As I write this, we have the WP REST API enabled for 1083 sites across 54 networks on our single installation of WordPress at Washington State University. And just by changing the host, I can switch over and embed a couple of recent headlines from web.wsu.edu. Having the ability to share information across the University is very useful to us. It helps various groups and sites throughout the ecosystem feel more connected as visitors and as site owners. Of course, we could have used a pre-existing syndication format like RSS as a solution, but a REST API is so much more flexible. It didn’t take much work to extend the initial plugin using things like register_rest_field() to support and display results from the central people directory we have in progress. That’s me, pulled in from our people API. This kind of data flexibility is a big part of our vision for the future of the web at WSU. Soon we’ll be able to highlight information for research faculty that may help to connect them with other groups working on similar topics. We’ll have ways to create articles on the edge of the network and have them bubble up through the various layers of the university—department, college, central news. And we’ll be able to start tying data to people in a smarter way so that we can help to make sure voices throughout the university are heard. And that’s just our first angle! One day I’ll expand on how we see the REST API changing our front end workflow in creative ways. 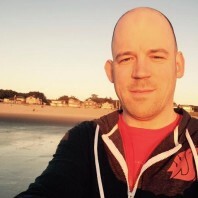 "How we’re using the WP REST API at Washington State University" by Jeremy Felt, unless otherwise expressly stated, is licensed under a CC BY-SA 4.0 International License. Great to see some real examples of use of the WP-API. Do you see any larger scale uses for the API in the future for WSU? I am very impressed. Hopefully other universities will want to replicate a similar approach to what has been accomplished at WSU. Have you guys worked at all on pushing/syndicating content to a centralized site with the REST API as opposed to pulling content from a centralized site? That’s one of the ways we’re managing emergency alerts on campus (if there’s a department-specific alert, they can post it to their site, and it’s syndicated/pushed to our central advisories site), and I’d be curious to see what you guys are doing with that. Nice tutorial. I appreciate it. Thanks!